We may say that the iguana is the modern day representative of dinosaurs and dragons of legends, because of its look. It has not really evolved since it first appeared about 70 million years ago, offering us a glimpse into how prehistoric animals may have looked. Green iguanas can grow to have large dewlaps, and they accumulate fat into their cheeks. The big scales on their cheeks may be jewel-like iriscendent. 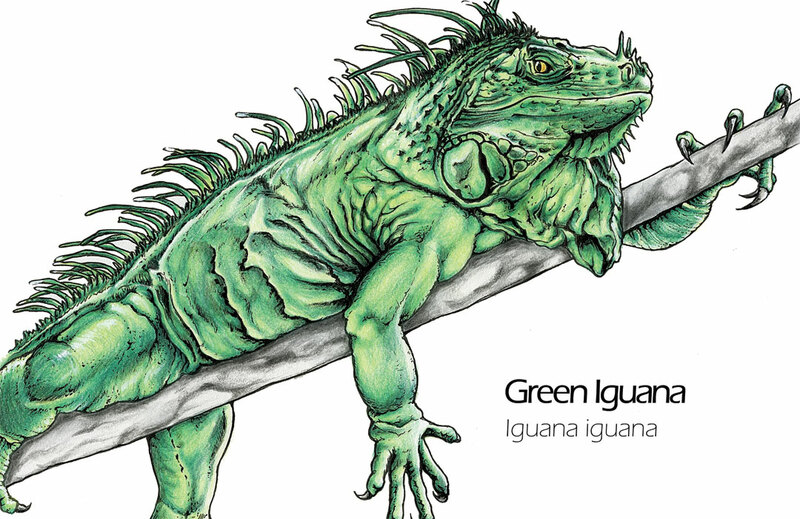 Animal drawing art description: Fine art drawing scientific illustration of a green iguana, iguana iguana. Colored pencils and ink drawing by Madeleine Dubé. 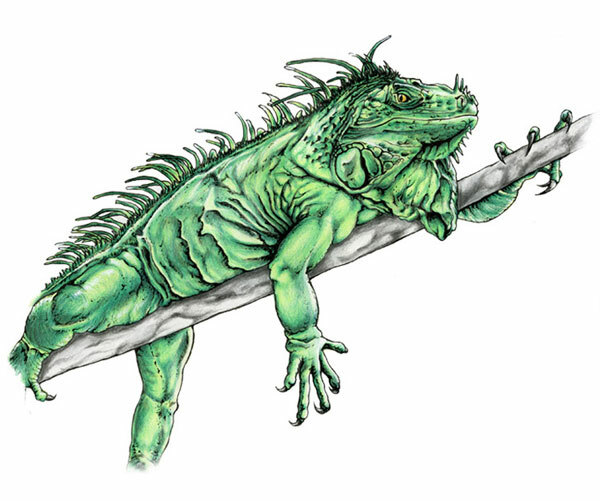 Green iguana drawing artwork available for sale as greeting cards, postcards and high quality giclée print reproductions (8"x10" and 11"x14"). Green iguana animal image available for licensing. Ideal for commercial uses such as print, packaging or advertising. For information contact me by email or by phone: 1-514-770-0705.